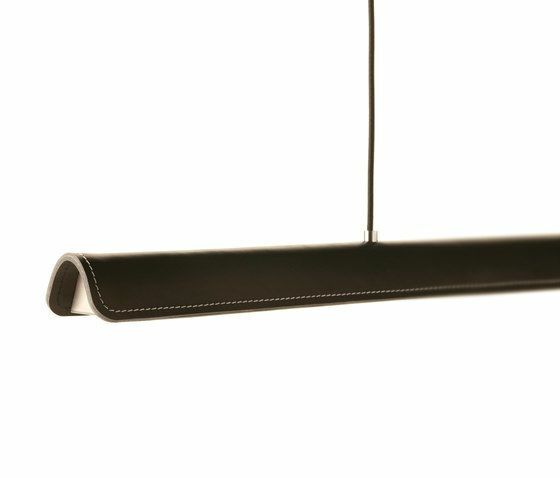 The minimalistic form of the suspension lamp Cohiba is complemented by the surprising choice of material: thick, sensual leather. The horizontally hovering object conveys a warm, pleasant feeling. Like an exclusive, hand-rolled cigar it stands for hand-made quality, and thus an anonymous room is filled with a whiff of Cuba and a special joie de vivre.